This perfect getaway is located in the lovely South of Cape Coral, right on the canal with direct access (no boat lock) to the Gulf of Mexico. Though nestled in a quiet and well kept neighborhood, all amenities like restaurants, shopping, golf courses and beaches are within easy reach. The home has 2500 sqft of living space and comes with floor tile throughout the house and is fully wheelchair accessible (incl. a ramp down to the dock). It has 4 bedrooms and 3 bathrooms and a guest toilet, two living rooms, one dining room and a well equipped kitchen. 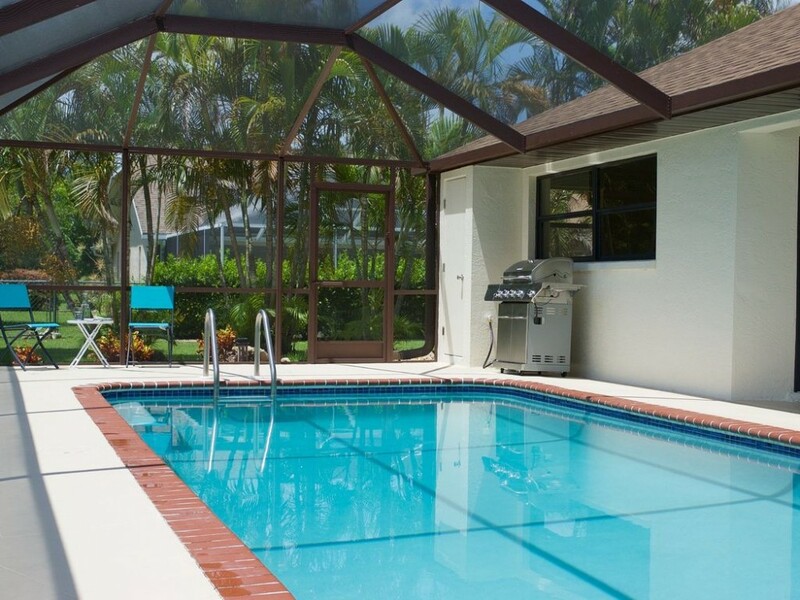 The beautifully landscaped and spacious outdoor area includes a large pool and a shady lanai equipped with quality furniture. Owner's Cancellation Policy50% refund if canceled at least 30 days before arrival date.100% refund if canceled at least 60 days before arrival date.Electric will be charged at $ 0.15 per Kwh (daily allowance $ 6). Great place - we love it!